A criminal act motivated by religion may be considered a hate crime by the court. Under this Penal Code section, a crime committed “in whole or in part” because of characteristics within these protected categories may qualify as a hate crime. The term “in whole or in part” means that a prohibited bias against the alleged victim does not have to be the only motivating factor for the alleged crime. For example, if the court finds that you committed battery that was motivated in part by the alleged victim’s race or ethnicity, and also motivated in part due to his or her offensive remarks towards you, you could be convicted of a hate crime motivated by racial prejudice. Penal Code 422.6(a) states that it is unlawful to use force or threat of force to “willfully injure, intimidate, interfere with, oppress, or threaten any other person in the free exercise or enjoyment of any right or privilege secured to him or her by the constitution or laws” of California or the United States. Further, according to California Penal Code 422.6(b), it is a hate crime to “knowingly deface, damage, or destroy the real or personal property of any other person for the purpose of intimidating or interfering with the free exercise or enjoyment of any right or privilege secured to the other person” by the US Constitution or state law. In order for you to be convicted of a hate crime in California, the prosecution must prove several elements beyond a reasonable doubt, depending on the type of hate crime you have been charged with. intended to interfere with the other person’s legally protected rights or privileges. intended to interfere with such rights or privileges. The prosecution must prove certain elements in your case for you to be found guilty of committing a hate crime. had the intent to do so. b. Property damage in excess of $950. this bias caused you to commit a felony. this bias caused you to commit murder. Under California law, punishment for a hate crime conviction varies depending on the type of alleged crime and contains a number of sentencing enhancements and mandated conditions for probation. Pursuant to California Penal Code 422.6(c), if you are found guilty of committing any misdemeanor hate crime in California, you face imprisonment in county jail for up to 364 days, a $5,000 fine, or both jail and fine. In addition, you can be ordered to participate in community service for up to 400 hours which must be completed within 350 days. if you have a prior hate crime conviction on your criminal record (PC 422.7(c)). If you commit a criminal act under any of the aforementioned conditions, you may be punished by imprisonment in county jail for up to 364 days (unless the act is punishable by state prison) or a fine of up to $10,000, or both jail and fine. If you are convicted of a felony hate crime in California, you face both a sentence in state prison for the underlying felony crime, and an additional sentence for the hate crime conviction. The punishment for committing a hate crime in California can be severe. 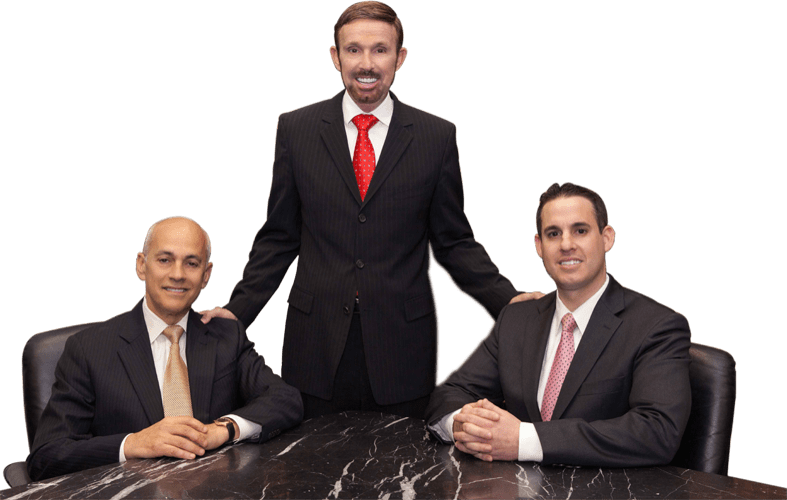 You need a strong team of attorneys fighting on your behalf. Felony hate crime: If you are convicted of a felony hate crime in California, you may be sentenced to an additional one, two or three years in state prison (PC 422.75). Felony hate crime in concert: If you are convicted of acting in concert with another person to commit a felony hate crime, you may be sentenced to an additional two, three or four years in state prison (PC 422.75(b)). Felony hate crime using a firearm: If you are convicted of committing a felony hate crime while using a firearm, the court may lengthen your sentence at its discretion (PC 422.75(c)). Prior felony hate crime convictions: If you were previously convicted of a felony hate crime in California, you may be sentenced to an additional one year in state prison for each prior conviction (PC 422.75(d)). pay any other restitution or fines deemed appropriate by the court. A substantial factor must be more than a trivial or remote factor. Your criminal defense attorney can argue that even if you did commit a crime, it was not substantially motivated by bias towards any of the protected characteristics of the victim, and thus it was not a hate crime. If you commit a criminal act out of fear of harm to yourself or another, you should not be found guilty of the underlying crime. If you are not found guilty of the underlying crime, you cannot be liable for the additional charge of a hate crime. If the court finds that you did not intend to interfere with another’s legally protected right or privilege, you cannot not be found guilty of a hate crime. For example, if you committed an act of violence on someone with protected characteristics and the act was unintentional or caused by mere negligence, it is not a hate crime. What if the criminal act was not primarily motivated by race, religion, etc.? Under PC 422.56(d), a criminal act can still be considered a hate crime even if the victim having certain characteristics was not the only reason for the act. For example, if you robbed someone because you needed money, but were also found by the court to have selected the victim for their racial makeup, you can still be convicted of a hate crime. In addition, if it is found that you selected the victim because of his or her association with someone with any of these certain characteristics, you could be convicted of a hate crime. If I use a derogatory term when speaking, is that considered a hate crime? No, not unless you say or do something which incites or otherwise calls for violence and you are capable of carrying this threat out. Under PC 422.6 (c), no person may be convicted based upon speech alone. Is it still a hate crime if I committed a crime against an inanimate object, not a person? Yes. Under PC 422.56(i), a building or facility can still qualify as a victim. For example, if you vandalized a place of worship due to a bias against the religion which the building was established for, you may have committed a hate crime. Is it still a hate crime if the victim did not actually have any of the protected characteristics? Yes. Even if the act was committed under mistaken belief, it is still a hate crime. Under PC 422.55(a), the crime must have been committed as a result of both “actual or perceived characteristics”. For example, if you assaulted someone because you thought they were homosexual when they actually were not, you may still be convicted of a hate crime. Contact the attorneys at Wallin & Klarich today if you are accused of committing a hate crime. If you are facing charges of committing a hate crime in California, contact our experienced attorneys at Wallin & Klarich. Wallin & Klarich has over 30 years of experience in successfully defending those charged with hate crimes. Let us help you, too. With offices in Los Angeles, Sherman Oaks, Torrance, Orange County, San Diego, Riverside, San Bernardino, Ventura, West Covina and Victorville, we can help you no matter where you work or live.